LUXXU is entering a new season, where LUXXU Modern Lamps and LUXXU Home join forces and create the best and most luxurious interiors. The lighting adds a touch of luxury while simultaneously sets the mood, and the furniture completes the atmosphere with a cozy and timeless style. Neutrals are not only black and white anymore. 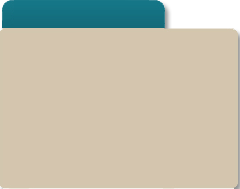 Beige and earthy tones are more than ever becoming neutrals. 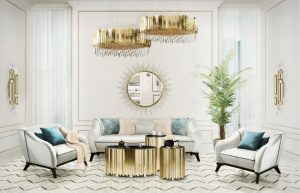 Paired with gold, another huge Winter trend, any interior will join the unique opulence of luxury items with the cozy vibes earthy tones provide. The Spear Side Table and the Waterfall Table Lamp are like a match made in heaven. There’s no decade like the 1920’s, so unique and distinctive, in both fashion and furniture design. 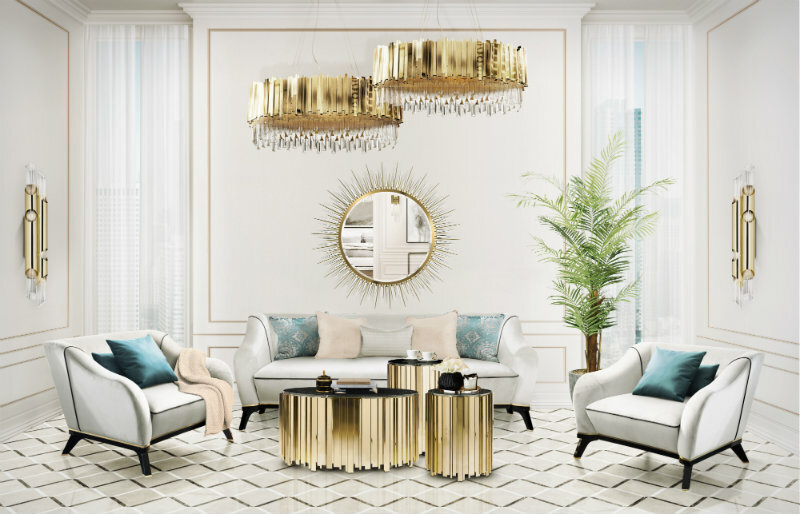 This living room is the epitome of a revival of the decade, the lighting and tables, from the Empire Collection, are inspired by one of the most iconic Art-Deco buildings in the world and the upholstery items are a modern interpretation of the lines that carved Art-Deco. Nothing brings a cozier feel to a home than candles. By providing a dim light effect, candles create a relaxing atmosphere, much needed during the colder months. Besides, the scents also aid in setting the mood. RITUALS has a great offer of scented candles, including the luxury collection Wild Fig. When decorating a space, color should always be considered. Whether in a form of statement piece or just a pop of color. A green rug in a monochrome living room will bring it to life and contrast with the golden from the Crackle Center Table, creating a luxury setting.